Ever leave a Walt Disney World vacation feeling more stressed and tired than you did when you arrived? Planning a trip to Walt Disney World and not sure where to start? 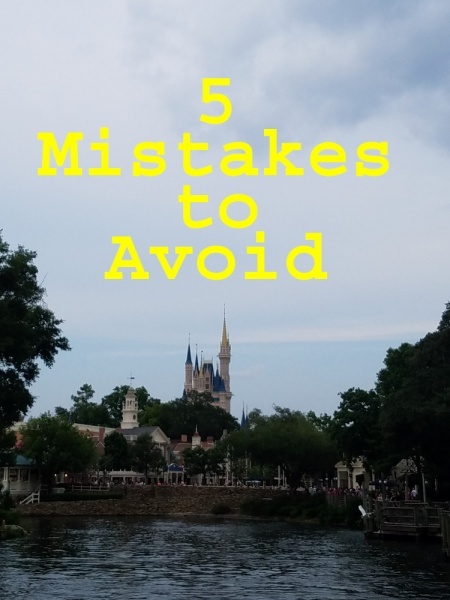 Here are five mistakes you want to avoid when planning your trip or while on your trip as well as tips on how to avoid them. One of the top things to know about Walt Disney World is scheduling. It is important to be aware of when parks open, close, and when special events are happening throughout the parks. Be aware of what holidays or events might be happening during your trip. Knowing this information will help you prepare for crowds as well as prevent any surprises when in the park. So how do you do this? 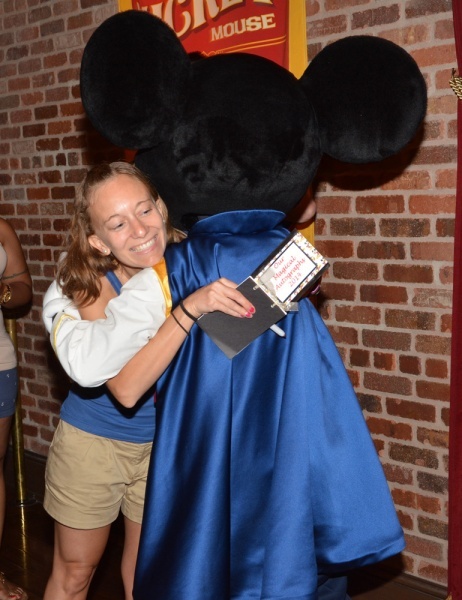 MyDisneyExperience is a great resource to help you stay up to date on information as it happens. This app will allow you to have information at your fingertips. Other sites such as The Mouse for Less also keep updated information regarding special events happening throughout Disney. 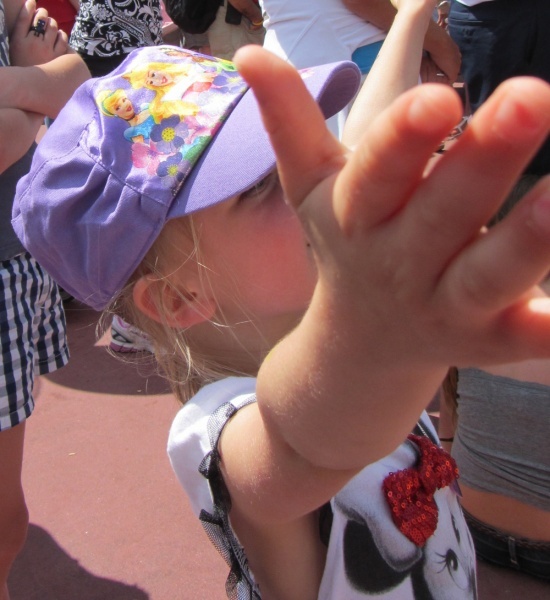 It is great to have FastPass+ reservations, but not all FastPass+ reservations are created equal. When making these reservations, make sure you book them as soon as possible. For those staying on property this means at your 60 day mark. For those off property, this means at the 30 day mark. Next, make sure you make reservations for those hard to get rides not just any rides. 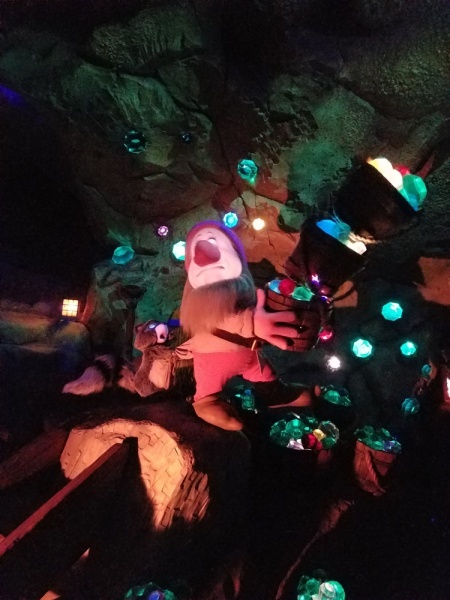 Flight of Passage, Frozen Ever After, Seven Dwarfs Mine Train are all examples of rides whose FastPasses go quickly. If you want to prevent long wait times when in the parks, you will want to snag these at the 60 day mark. Next, try to make your reservations for peak wait times to get the most bang for your buck. Wait times will be the longest in the parks from that 12-4 time period so if you plan to be in the parks during those hours, use those FastPasses during that time to prevent long waits. I love to plan for our Walt Disney World vacations. I am a laminated spreadsheet type of planner, but to be honest, those plans are usually left in the bag when we get there. Although having a plan is important, planning too much or not allowing for flexibility in your plan can and probably will lead to stress. Don’t miss out of the fun and magic because you are glued to your phone or to the schedule. Have those dining plans and FastPasses scheduled and then give yourself some flexibility in your plans. This will allow you to take breaks when needed, breathe and take in the magic. Sometimes the best parts of the trips are those things you can’t plan and schedule. I remember our first year going, our kids loved the castle show and we watched it three to four times. This wasn’t something I planned in our schedule because we had places to go and rides to be on, but the joy it brought to them was worth every minute we sat there together. I know I just said too much planning is something you want to avoid, but so in under planning. As Disney becomes bigger and more crowded each year, you need to have some planning done before going. Gone are the days when you can just show up at 9:00 a.m. and walk onto rides or walk into the castle to eat. This doesn’t mean your trip can’t have down time or choices, but it does mean that you need to take the time to think about which parks you want to go to each day as well as where you might want to eat and what you might want to ride. Having these decisions made prior to going allows your vacation to be more stress free as the basics are taken care of ahead of time. This is something I am constantly working on while on our Disney vacations. Because I am a planner, I often find myself thinking of the next step instead of enjoying the moment we are in. This is your time to act like a kid and enjoy every moment with your family and traveling party. Put down the phone. Turn off those notifications. Giggle. Laugh. Scream. Enjoy every minute while you are in the most magical place on Earth. Dance, sing and have a great time. Reality will come too soon so forget about it while you can. I am still working on these mistakes each and every trip we go. Each time I get a little better in one of the areas, but I am still working on them. Bonus– I didn’t laminate my plans last time!! Walt Disney World is a great vacation and should bring you joy and happiness not leave you stressed and upset. Make sure to avoid these mistakes and you will be closer to that magical trip of your dreams. Opening Night of Mickey’s Very Merry Christmas Party!